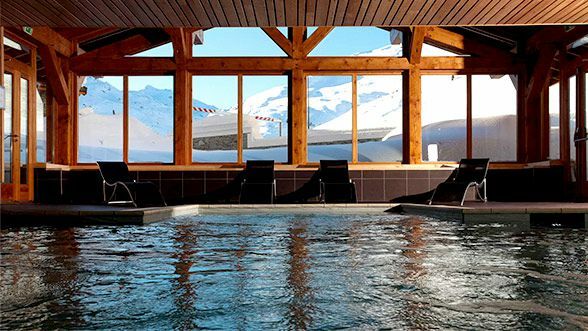 At the heart of the 3 Valleys, at an altitude of over 1,800 m, Les Ménuires occupies an ideal location. 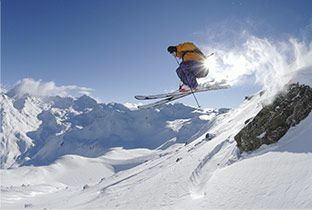 Its natural levels of snow and its facilities and infrastructure make it the "ski-in / ski-out" resort of choice. 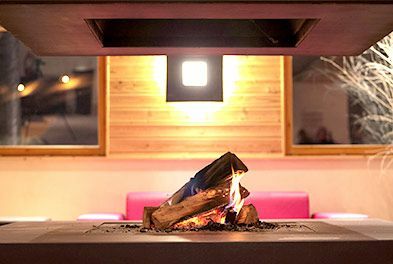 Come discover the resort in ideal conditions with a stay at our 4-star residence, Le Chalet du Mont Vallon. In summer only the rental option is available. In the Bruyères neighbourhood of Les Ménuires, Le Chalet du Mont Vallon is a magnificent structure in perfect harmony with its natural surroundings, designed in the typical Savoie style with local wood and stone. The building faces south to guarantee optimal exposure to the sun and is just a stone's throw from the resort's ski lifts and shops. Looking for fresh air and refined, comfortable accommodation at the heart of an unspoiled natural environment? 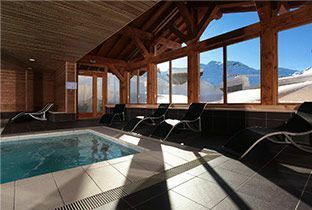 Le Chalet du Mont Vallon Spa **** Resort in Les Ménuires is the perfect place to stay to relax, eat well or work… Whether you are travelling alone, on a romantic getaway, with family or friends, or as a group, you will only find top quality services and facilities here. 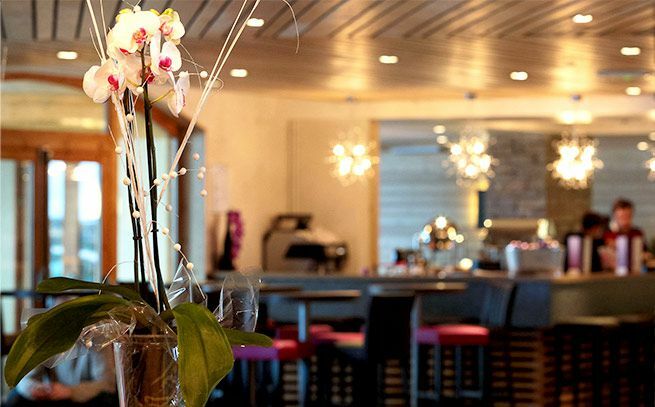 On holiday or on business, book a stay in our sumptuous apartments, with access to L'Atelier restaurant and bar (closed in summer), the lounge and its fireplace, the terrace, the spa & wellness space with indoor heated pool, steam room, sauna, beauty treatments and gym.